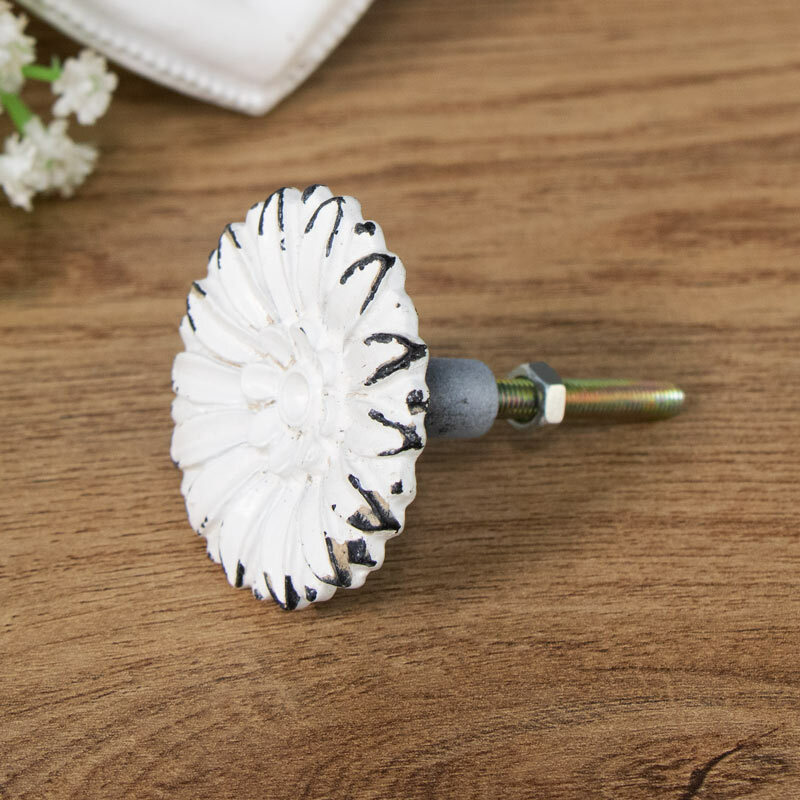 Add a decorative touch to your drawers and cupboards with this decorative drawer knob. Pretty white daisy design for a country style interior. Dress up your cupboards and drawers with this pretty drawer knob. The perfect way to add your own individual style to your furniture. The knob comes in a pretty flower design in a distressed white appearance. A lovely piece of homeware that can transform your furniture for a completely unique look. 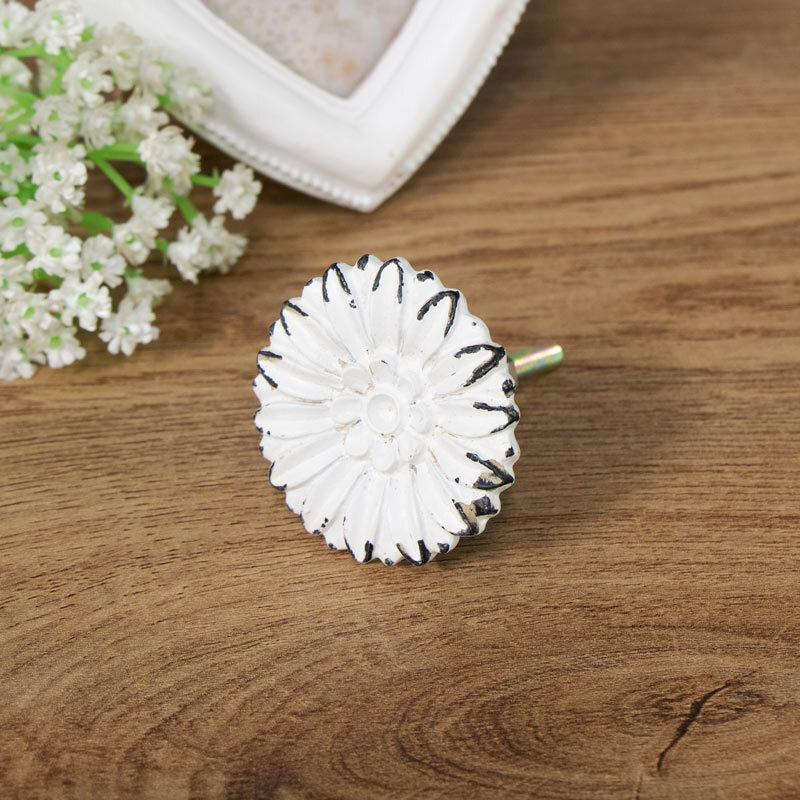 Add a decorative touch to your drawers and cupboards with this decorative drawer knob. Pretty white daisy design for a country style interior. Dress up your cupboards and drawers with this pretty drawer knob. The perfect way to add your own individual style to your furniture. The knob comes in a pretty flower design in a distressed white appearance. A lovely piece of homeware that can transform your furniture for a completely unique look. Made from metal and painted in a white distressed finish. Easily affixes to the drawer or cupboard with 3cm screw, complete with nut on the back for securing to a drawer or cupboard door. Make your interior decor pretty with our fantastic selection of gifts and home accessories.